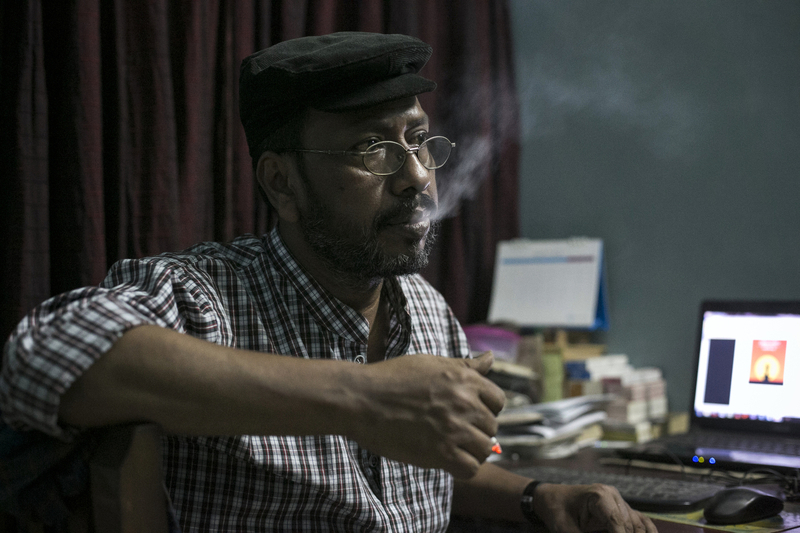 Blogger and author Ranadipan Basu smokes a cigarette in an unspecified city in Bangladesh. Basu was stabbed 9 times last year on the same day of the attack that killed Avijit Roy's publisher, Faisal Arefin Deepan, and left two other writers severely injured. Basu received many threats on facebook before the attack, and the police have since advised him to limit his movements, not travel alone, and limit his time in any unknown location to under 10 minutes. Now he always feels nervous about his security and he says "I want a free life. I want to write freely." Ansar al-Islam, the Bangladesh division of Al Qaeda in the Indian subcontinent, claimed responsibility for the attack.